Prices are only indications and may differ with currency fluctuations. Training has to be complete before ownership will be transferred. Additional Technical training is needed to buy and dive the technical upgraded units. Rebreather diving is NOT just “the next step” – people have, and more will die on Rebreathers. Good training is essential! I have generously copied from manufactures websites and Wikipedia in order to write this. Opinions are my own! It has now been 18 years now since AP Diving launched the world’s first production sport rebreather, the Inspiration, in 1997. The Poseidon Discovery , aka the ( Cis- Lunar) MK VI, conceptualized and designed by Dr. Bill Stone ( see history below) , was the first rebreather to be certified Type R by PADI (in 2011). It was a complete turnaround from the, up till now, technical and manually operated Rebreathers. With automated user interface, automated pre-dive checklist and auto-calibration, it removes a lot of potential diver error. Stone also pioneered the dual-sensor ‘active validation’ system that yields a single PO2 value for measuring oxygen in the loop; all other CCRs display three varying values, one for each sensor. This simply means the user sees only one O2 value as opposed to three different values that may cause confusion in the recreational diver. This was a major innovation in oxygen sensing technology. This Rebreather was the first rebreather designed with the recreational diver in mind by limiting user input and thus letting the machine “decide” the best course of action given a specific situation. The Evolution and Inspiration are manufactured by AP Diving. They are now the world’s largest rebreather manufacturer and has been a pioneer in machine automation with their patented dual oxygen controller, auto-set point change, auto-calibration, auto-device detection, as well as being the first to offer a canister duration monitor in 2005 ( “temp-stick”) . As a result, all AP units produced since September 2012 are compatible with the PADI Type R specification by simply turning on a software key, and modifying some hardware, such as removing the manual oxygen add valve, effectively limiting user input. This of course also simplifies “upgrading” the machine to technical specification! The Hollis Explorer is a recreational rebreather that features a sophisticated resource management system that Kevin Gurr (see below) first envisioned more than 20 years ago. The unit is manufactured and distributed by Hollis Gear of San Leandro, California, which purchased the technology from VR Technology., Kevin Gurr’s company. 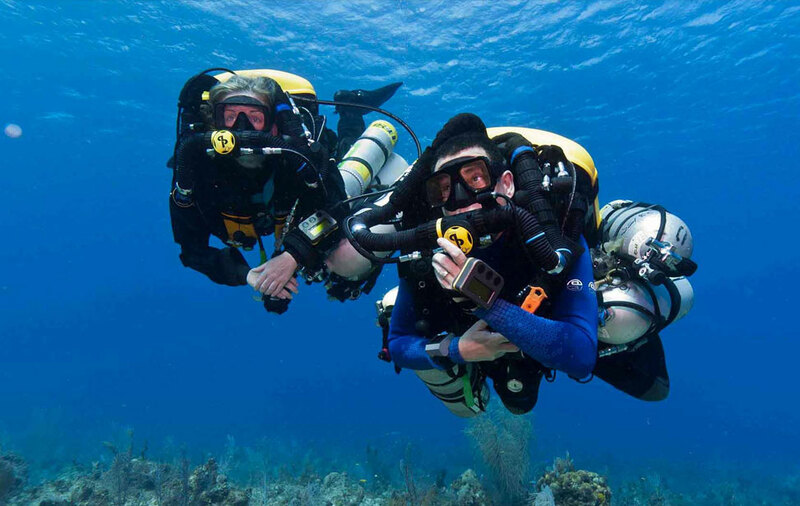 While other manufacturers asked the question, “How do we make a closed circuit rebreather safe for recreational divers” in designing their unit, Gurr’s approach was “How do we make Rebreathers safe for recreational divers? The results were unique, a 14.5kg, electronically controlled semi-closed rebreather that costs 40 % less than anything its competitors has. It may well represent a tipping point in making Rebreathers accessible to a wider base of users. Industry insiders who are familiar with the unit call it a potential game-changer. A recent study examined 180 recorded rebreather related deaths from 1998-2010 and found that fatality rates for rebreather diving were 8 to10 times higher than for open circuit SCUBA, or about 4 deaths/100,000 dives compared to about 0.5 deaths for SCUBA. In almost all of these incidents the cause was user error… divers not turning on their machines, not analyzing gas, incorrect assembly, incorrect scrubber packing, or making poor decisions (not bailing out). Divers also engaged in risky behaviors such as exceeding limits, carrying insufficient bailout and solo diving. These factors are much more forgiving on open circuit than closed circuit. Military divers are highly trained in use and discipline. They have mandatory checklists, buddy systems and unlimited budgets which allow use of full face masks (reduced drowning risk for unconscious diver). They also have an immense support structure (supervisors, chambers, and medical help) should something go wrong. The recreational industry has to rely on automation, increased engineering and simplified diving protocols to overcome human fallibility and lack of consistency. Mark Caney - PADI’s vice president of rebreather technologies - explains “The only way to reduce errors with recreational divers is to have the rebreather making decisions and shielding the diver from complexity that they don’t need to know.” He compares it to a car with an automatic transmission, anti-locking brakes, power steering, auto-lighting and active cruise control. “I know that’s alarming to some people, but we routinely rely on automation to make complex machines easier to use in the rest of our lives. Recreational diving is no different.” Caney was responsible for developing the Type R and Type T specifications for recreational and technical Rebreathers covered under PADI training courses. Some people believe that recreational divers shouldn’t be diving Rebreathers at all. The Hollis Explorer may change that view! The futuristic white Explorer looks like Star Wars storm trooper battle gear. The rebreather uses a single 5 l cylinder of Nitrox (32-40 %) and is designed for no-decompression dives to depths of about 24m - 35m with dive times up to two hours. There is a built in open circuit bailout valve (BOV), but the diver still needs to carry an additional small bailout cylinder for dives in excess of 18m. This is also a PADI requirement. The machine is sold complete, ready to dive. The CO2 sensor is not needed for operation and may be added as an after sales upgrade. Sorb canisters may be packed by the diver if trained. The Explorer is able to offer much of the performance of a true CCR because its PO2 controller automatically adjusts the set point to maximize the diver’s dive time based on the no-decompression limit (NDL) and remaining gas supply. It also maintains oxygen levels within safe limits to minimize the risk of hypoxia. Hyperoxia is highly unlikely as this can only occur at elevated PO2 – limited by the depth of the Nitrox mixture. When descending, the controller adds more Nitrox to the loop, increasing oxygen levels and therefore maximizing the diver’s NDL, which is typically a limiting factor at depth. On a deep dive running low on gas and getting closer to your ‘bailout reserve’, the system will tell the diver to ascend and will reduce the set point to save gas since remaining gas and not the NDL is now the limiting factor. If the diver ascends during the course of a dive, increasing the NDL so it’s no longer the primary limit, the system will automatically reduce the set point to save gas and increase dive duration. The diver can also adjust the Dive Control Parameter, or DCP, manually to maximize NDL or gas although experience has taught that the machine does it best! The Explorer is also smart in how it handles the ‘excess’ gas in the loop. Unlike the earlier Atlantis rebreather, where the diver felt a slight increase in buoyancy, followed by a massive gas dump and drop in buoyancy, the Explorer vents excess gas gradually in tiny bubbles at the top of each breath by means of a unique hydrostatically-balanced Loop Control Valve (LCV) that maintains a constant loop volume. As such the Explorer feels like a closed circuit rebreather. The loop controller also makes buoyancy control easier. The gas dump is connected to the exhale counter-lung, so that body fluids, which can accumulate in the loop, get evacuated with every breath. So does some of the exhalation CO2, which enables the petite 1.5 kg axial scrubber, the ‘filter’, to provide two hours of dive time. One of the most striking features of the Explorer is the handset (user interface), which is a model of simplicity. In dive mode, the handset displays three numbers: depth, elapsed time and the remaining dive time along with the current ‘limiting’ resource, all displayed in “remaining minutes” which is all that a recreational diver really needs to know. It also has a graphic ascent rate indicator. The computer independently monitors the diver’s gas supply, NDL, expected filter duration, battery power remaining, the diver’s CNS clock and the overall system, along with PO2 and PCO2, and dynamically calculates the diver’s remaining dive time based on which resource is limiting the dive, whether it’s gas, NDL, the filter, etc. The diver can cycle through the status of each of these resources if he/she is so inclined, which are displayed in minutes remaining – example, ‘Filter: 119 minutes (99 percent)’. As well the diver can view his/her current PO2 and PCO2. The computer does the work to make it simple for the user. The diver just pushes the button and goes. The heads up display (HUD) has three lights; Green for ‘Dive, Flashing Green/Blue for ‘Look at me, I have something to tell you’, and Flashing Red accompanied with a vibrating alarm for ‘Danger, bailout now!’ There is also a secondary HUD visible to the buddy on the back of the unit. The system relies on commands to communicate with the diver. It tells you to Ascend Now, Slow Down, Bailout Now, instead of informing the diver of a problem, such as ‘High PO2’, and leaving the decision to them. The unit will support limited (unplanned) decompression in the event the diver exceeds his or her NDL limits. The Explorer continually monitors its internal workings and performs error checks. In the event of a serious problem, such as water egress or sensor failure, the unit automatically goes into ‘failsafe mode’, injects gas every three seconds and tells the diver to bailout. The unit has three batteries for redundancy. The Explorer offers an add-on CO2 monitoring package. This includes a gaseous sensor designed to detect CO2 in the breathing loop. Included as standard is a thermal stick, which measures canister duration, a CO2 calculator (based on O2 consumption) and a simple canister timer…four ways of monitoring CO2! Mechanically, the unit is designed with interlocking parts that can only be assembled in one way. If the user leaves something out, the unit will fail its pre-dive check. If the filter is missing, the user is unable to breathe on the loop and a large green knob protrudes from the case. Disassembly is just as easy. Per the PADI Type R spec, the Explorer walks the user through an electronic pre-dive checklist. It will detect your breathing; make sure you do a proper positive as well as a negative check (a vacuum check to check the loop integrity) and it even analyzes your gas! “The average person has no idea how his or her smart phone works, they tap an icon and it works. That’s what we have done with the Explorer. It takes the human out of the chain, because we know that’s the most likely failure point.” – Kevin Gurr. Approx Cost - R 63 750.00 – complete unit. Ready to dive. Upgrade to Tek – Not possible. AP Diving’s Rebreathers are by far the most popular and widely used Rebreathers on the planet, with all that implies about training, spares and worldwide rebreather support. It also simply has the longest track record – The Toyota Hilux of Rebreathers! The machine has the “classic” rebreather look – a centre sorb canister flanked by two (2 or 3L) cylinders. AP Diving offers instructors the ability to upgrade their student’s Type R machine using the software key at no cost. The only extra cost will be some smaller hardware changes that need be added. This means you buy a recreational machine and should you decide to go into technical diving the upgrade costs is extremely cheap. The machine is sold complete. You can literally go from delivery to diving with no extra expenses. The unit is sold as a basic diveable unit with size options on lung, wing, cylinder, sorb canister and BCD sizes. The Type R machine comes with Bail out Valve, Automatic Diluent Valve and temperature monitoring stick. The “upgrade” can only be sold once technical training has been done and can only be approved by the training Instructor. CO2 monitoring and a state of the art HUD are also optional extras. The Inspiration has independent Dual Oxygen Controllers, an optional CO2 Scrubber Monitor, audible alarms, fibre-optic Heads Up Display and Oxygen Control accuracy to - 0.05 Bar of Setpoint. They offer a versatile machine in that one unit can do all depths. Configurations range from Recreational spec to Trimix, the machine is easy to prep and easy to dive with exceptional ease of breathing in all positions – they also over two types of counter lung positioning – the classic over the shoulder or back mounted counterlungs. The multiple options allow you to customize your Inspiration to suit you. The controls are simple- step by step through tests and calibration of the machine: Redundancy is built-in: Unique back-up oxygen control & power sources, multiple independent displays with effective warning systems and multiple bail-out options. And looking into the future, fully upgradeable via software uploads with hardware plug & play. The company has 45+ years experience as an established dive manufacturer with a proven record of innovation and engineering, selling more Rebreathers than any other company and supplying buoyancy control kit to military and commercial divers worldwide since 1981. they have in-house test facilities with 98% of the unit being manufacture in house – this means there’s no buy-in and bolt-on at AP. In-house design, tool-making, big investment in R&D and manufacturing coupled with rigorous on-site and in-water testing (bench and manned) means start-to-finish quality and consistency. Approx Cost – R 124 000 – complete machine with tanks, lungs, BCD, tempstik. The Poseidon MKVI was the world’s first rebreather for recreational divers. It’s a fully­ closed, fully ­automated unit. The system comprises a breathing loop (mouthpiece, hoses, counter lungs and backpack) with associated electronics module and two independent gas cylinders and follows a traditional rebreather design. The cylinders are mounted with the valves on top and this is the only real first glance difference between this and traditional Rebreathers. Poseidon Launched the Discovery in 2008. They fulfilled the requirements for the PADI Type R rebreather and subsequently introduced the recreational diver to quiet, warm and long dives. The unit is fully automated and has a comprehensive electronic checklist that one has to follow in order to have the machine dive ready. Pre –packed Sorb canisters MUST be used with these machines. Poseidon also offers an upgrade path for divers wanting to go deeper. The new generation Poseidon Se7en now offers Bluetooth technology that greatly enhances download speed for logs and updates. The Discovery used Infra Red which is slightly more cumbersome and slow. The Se7en can be upgraded to a 100m capable machine with minor hardware changes. The new Se7en also now has a new protective, aesthetically pleasing, and functional cover with a built-in handle system, along with grab and lighting rails. While Poseidon and AP Diving have focused on adapting their closed circuit technology for recreational use, Kevin Gurr decided to tackle the problem of building a recreational rebreather from scratch. But how do you eliminate the oxygen danger but still provide two hours of dive time? An electronic closed circuit rebreather (Poseidon and AP Diving) mixes oxygen and a diluent gas, such as Nitrox or trimix, into the breathing loop in order to maintain a specified PO2 level, or set point, as measured by its oxygen sensors. It then adds oxygen to replace the quantity consumed by the diver. In contrast, an active addition semi-closed rebreather, which is purely mechanical, feeds a constant stream of a single gas such as Nitrox into the breathing loop at a rate calculated to match the diver’s consumption. The excess gas in the loop is periodically dumped into the environment, hence the term ‘semi-closed’. There are no sensors, electronics or multiple gases to deal with, making the units much simpler. It’s not surprising then that the first Rebreathers designed specifically for recreational diving, the Dräger Atlantis and Grand Bleu Inc.’s Fieno-S, were semi-closed Rebreathers. Both released in 1995, they preceded the launch of AP Diving’s ‘Inspiration’, which was the first production sport diving CCR. At the time, many industry experts believed that semi-closed systems, which had no electronics, were likely more suitable for recreational use because of their relative simplicity and lower cost. However, active semi-closed units have their own problems. First, they waste gas. This is one of the reasons that the Atlantis likely never took off; it offered scant improvement in duration over standard 12 l cylinder. Second, the PO2 in the loop, and therefore the diver’s decompression obligation, is dependent on the diver’s actual workload. The higher the workload, the more oxygen is consumed, resulting in shorter no-decompression limits and the risk of hypoxia (low oxygen levels) in shallow water. Finally, semi-closed systems like the Atlantis dump the excess loop gas in large burps, which are noisy and interfere with the diver’s buoyancy. The explorer solution was to marry closed circuit electronics, that is, three oxygen sensors, a PO2 controller and a solenoid valve, with a semi-closed system. So, just like a closed circuit rebreather, when the diver works harder the Explorer adds more Nitrox to maintain PO2 levels. An ordinary semi-closed system can’t do that. The PO2 controller is further automated in order to maximize the time that the diver can stay underwater. Both the MKVI and the Evolution(R) are upgradeable to tech level Rebreathers, part of their strategy, and this is a major difference from the Explorer. Poseidon says that about one third of MKVI users to date have purchased tech upgrades, which can add to the base price. Poseidon’s marketing strategy is that upgradeability. Rather than rely on a single unit to bridge both markets, Hollis’s strategy is to market its Prism 2 closed circuit rebreather for technical divers, and address the ‘pure’ recreationalists with the Explorer. 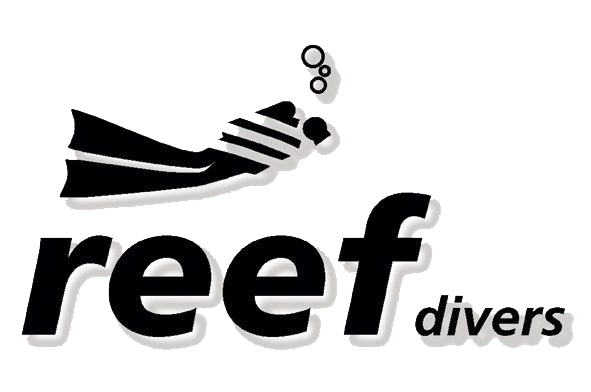 Currently the sport diving rebreather market is very much in its infancy. Industry insiders estimate there are at most 10,000-15,000 active rebreather divers worldwide. Most of these are technical divers. Sizing the ‘recreational’ market is tricky. Agency sources estimate there were about 4,000-4,500 rebreather course certifications issued worldwide in 2012; by comparison, PADI’s website indicates the agency issued over 900,000 entry level and continuing education certifications across its worldwide system during the same period. Roughly half of the 4,000 plus rebreather certifications were classed as ‘basic’ and likely to be attached to a machine sale, but only a percentage of those were Type R (versus technical). That could mean as few as 1,000 to 1,500 Type R machines were sold in 2012. Rebreathers are here to stay. They will not become cheaper as more units enter the market – the inspiration sold for R 46 000.00 in 2002 and is now selling for R 124 000.00. 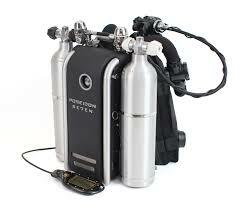 If buying a rebreather purely for recreational diving any of the three machines will fulfill that requirement. The explorer is by far the simpler and safer machine – simply because of its technology. It will also be easier to fill as Nitrox is more widely available that pure oxygen. If your dream is to go deeper then the Explorer will not work at all. Either the Poseidon or any of the AP Diving machines are the way to go. Technical training is much more widely available on the AP machines than on the Poseidon – simply because AP Diving as the track record having trained Rebreather tech first. Poseidon launched their Deep machines in 2014. Some more history, facts and specs. An Average of 23 people have lost their lives on Rebreathers yearly since 2004. Most of these are contributed to diver error and training issues. Be careful in choosing your instructor! Bill Stone, is an American engineer, caver and explorer, known for exploring deep caves, sometimes with autonomous underwater vehicles. He has participated in over 44 international expeditions and is President and CEO of Stone Aerospace. Stone spent three years (1984-1987) researching first the Navy MK16 rebreather and then the NASA shuttle spacesuit PLSS designs before rejecting both as being unsafe for use in the hazardous overhead rock flooded tunnels, (where one could easily be two to three hours from a tunnel containing air) before deciding to invent a mission-specific device. The apparatus that resulted, the Cis-Lunar MK1 rebreather was revolutionary on several fronts. It was the first truly “redundant” PLSS ( personal life Support System) in that it had twin, independent closed-cycle gas processing “stacks” to recycle exhaled air as well as the important distinction of being able to “cross route” gas and consumables supplies while on a mission. The MK1 (testing at Wakulla Springs had shown the amazing promise of a fully-redundant Personal Closed Cycle Life support system for long range exploration. Considering that developing (and using) equipment for lunar exploration was his long-range objective, Stone founded a company, in 1987: Cis-Lunar Development Laboratories, Inc. The MK1 was viewed as a prototype for the type of design one would want in a long range industrial spacesuit PLSS. Aside from this historical footnote, the MK1 weighed in at 90 kg and was not suitable for terrestrial exploration. Over the following five years three generations of redundant closed-cycle PLSS backpacks were developed and tested, culminating in the MK4 design This was a 9 hour range depth-independent design with three onboard processors, head-up display, redundant mixed-gas supplies (both heliox and oxygen). It was rated to 200 m underwater and included an integrated real-time decompression engine that was parallel-processed across the three computers. The purpose of the MK4, and the reason for the sustained R&D effort, was to equip a team for a major exploration assault on the underwater tunnels at -1353 m in the Sotano de San Agustin, on Mexico’s Huautla Plateau. Equipped with nine MK4 rigs, an international team of 44 explorers, led by Stone, arrived on the Huautla plateau in February of 1994. During the course of the following 4-1/2 months the team explored to a depth of -1475 m (at the time, the 4th deepest point reached by humans inside the planet) and a distance of 7 kilometers from the nearest entrance. Importantly, 600 meters of that distance, beginning at the -1353m level, was through a 30 meter deep underwater tunnel. A total of 22 MK4 missions were conducted during the expedition, many with return-to-safe-haven times exceeding 90 minutes. During the entire project only 1400 liters of oxygen and 2500 liters of heliox gas were used. The MK4 PLSS had proven itself to be remarkably survivable. From a technical standpoint one of the most impressive incidents of the expedition occurred when the lead team of Bill Stone and Barbara am Ende were returning from Camp 6 from the 7-day final push. As they were gearing up and into their pre-dive checklist, the main programmable display on Stone’s MK4 went dead. In the process of descending 92 shafts and traversing 3,000 meters of ropes the Rebreathers had taken an incredible beating. The cable leading to Stone’s display had partially unscrewed, enough to allow a few drops of water to enter the LCD unit electronics and short it out. This, however, was not the end of the story. After performing a self-diagnostic test the remaining two onboard computers detected the problem, voted the wrist display unit out of the system, and took control. The head-up display flickered momentarily and came up 4x4 green, an indicator that all systems were up and running on automated closed-cycle control. The return dive was conducted without further incident. The technical success of the MK4 on the San Agustin Expedition attracted both scientific and commercial interest in the following years. The expeditionary MK4 units were used by Bishop Museum in Hawaii to discover more than 200 species of previously unknown fish down to depths of -200 meters in the south pacific, a zone previously uninvestigated because it was too deep for normal Scuba and too shallow for those paying day-rates for use of research submersibles. It also attracted the attention of venture capitalists. The flagship product was the next generation Cis-Lunar MK5 closed-cycle PLSS. Three years of R&D and advances in electronics and fabrication technology allowed for dramatic improvements in the design, particularly from the user interface, gas routing, and field maintenance standpoint. Importantly, the MK5 was a manufactured commercial product. Through 1999 a hundred units were sold world wide, mainly to scientific, cave, and deep wreck divers as well as underwater photographers, owing to the lack of bubbles and noise. A special dual MK5 was developed for the 1999 National Geographic expedition to Wakulla that had a range of 18 hours. A typical exploration and mapping team (below at -80m) in addition, carried redundant propulsion systems. This extraordinary combination of technology allowed exploration teams to routinely log missions of up to 5 hours inside the springs at depths of 95m and distances of up to 4 km from the entrance with 2.5 hour return “drives” to return home. They still had waiting up to 19 hours of decompression. Following the expedition both designs were marketed. Sales, however, were low due to the high cost of manufacture. In late 2004 Stone Aerospace acquired Cis-Lunar / Dive-Comm and began searching for potential partners with which to develop a next-generation recreational closed-cycle PLSS for diving. A year later, in December of 2005, a joint venture was formed with DP Scandinavia to develop the MK6 rebreather. Based on Stone Aerospace's Cis-Lunar designs, Poseidon Systems contracted with Stone Aerospace to design, develop, test and sell one of the worlds lightest and most sophisticated underwater Rebreathers for the sport diving community. The Mk 6 Discovery system was unveiled in early 2008 and is now in mass production. This project marks a major milestone in Stone Aerospace's ability to commercialize high tech products for mass markets. Kevin has been passionate about computing and Rebreathers since his first rebreather dive in 1987. The prolific 54-year old British explorer, tech instructor and engineer got his start rebuilding the electronics for the Biomarine CCR155—one of the first mixed gas Rebreathers to be adopted by sport divers. In 1997, he rolled out the world’s first mixed gas diving computer, the VR3, which was capable of handling multiple Nitrox, trimix and heliox mixes and was also the first computer that supported closed circuit rebreather diving. Kevin mentored with rebreather pioneer Dr. Bill Stone in the 1990s and always wanted to build his own rebreather. In 2005, his company launched the Ouroboros closed circuit rebreather, aka ‘Boris’. Three years later they rolled out the Sentinel, the first CCR to incorporate a gaseous carbon dioxide (CO2) sensor capable of detecting a scrubber failure as part of a comprehensive CO2 monitoring package. He was also awarded Eurotek’s Lifetime Achievement Award for his contributions to technical diving in that same year. Managing Director of Ambient Pressure Diving, (manufacturers of the Inspiration and Evolution Rebreathers) and A P Valves, (manufacturers of the Buddy range of buoyancy compensators). Martin developed the Buddy range of jackets as well as some of the associated valving, and was the drive behind the development of the Inspiration CCR, now in its 18th year of manufacture and the first CCR to reach the masses. In 2005, the simple "control the oxygen only" electronics of the Inspiration evolved in to the Vision electronics and again, established the new "cross-bar", featuring simple and superbly reliable fibre optic head up displays and the first working system for monitoring scrubber life; a system which automatically compensates for work rate, water temperature, depth, part-used scrubber materials and gives warnings in advance of CO2 breakthrough. Martin learned to dive in 1974, taking the technical route in 1994. He was the first diver to use the Inspiration CCR on Trimix and now very rarely uses any other form of diving equipment. He has represented the UK at the European diving equipment standard meetings for 20 years and has been involved in the EN250 Regulator Standard right through to the latest EN14143 Rebreather Standard which is acknowledged by equipment manufacturers as being one of the toughest Standards. This list outlines the features a rebreather will typically require to be used by students undergoing training in the PADI Rebreather Diver and Advanced Rebreather Diver courses. Features of a Type R rebreather and have successfully undergone internationally recognized, third-party testing against an appropriate standard such as EN14143. Only Rebreathers that have been included in this central register may be used for PADI Rebreather Diver and Advanced Rebreather Diver courses. Without a scrubber installed, the unit will not operate will warn* the diver, or fail pre-dive tests. The unit can be used with pre-packed CO2 scrubber cartridges (pre-assembled by manufacturer approved source or technician), or has a simple, user-packable scrubber canister engineered so that it cannot be incorrectly assembled by the user. The unit should automatically attempt to sustain life and warn the user not to dive if the user attempts to dive without following pre-dive procedures correctly. The unit self calibrates its O2 cells (sensors) and will not pass a pre-dive test unless calibration is successful. The unit will self initiate or warn* the diver if the electronics are not turned on when the diver starts to use it. The diver should have a simple status indicator in the line of sight indicating if all is well or if a bail out is required (eg: head up display). The diver should be able to switch to open circuit bailout without removing the mouthpiece, using a single action with one hand. The unit automatically adds diluent to the loop as required if the counterlung volume is reduced. The diver is warned* if an attempt is made to dive with any of the gases turned off, or it will turn the relevant gas on automatically. The unit provides with an indicator of remaining battery life and warnings if battery power becomes critically low with ample time to end the dive, and/or has a backup battery system. The diver can read the remaining supply of all gases. The diver is warned* if any gas supply becomes low and/or depleted. The unit has a floating setpoint or pre-set set points and switches or adjusts setpoints automatically throughout the dive. The unit will function to a depth of 40 meters. The unit will maintain a pO2 close to the setpoint in normal use. The diver is warned* if pO2 is too high. The diver is warned* if pO2 is too low. The unit has a system to warn* the diver if pCO2 is too high or it has a system for indicating when the scrubber should be changed. The loop includes an automatic over pressurization relief valve. The unit should have provision to fit an alternate regulator that can be used by another diver (e.g. octopus rig). The unit has a ‘black box’ data recorder function. * Warnings must be very apparent and not likely to be missed by the diver. A vibrating mouthpiece alarm is ideal, coupled with a visual alarm in the diver’s line of sight and/or an audible alarm. A secondary warning discernable to other divers on the back is highly desirable. This list outlines the features of a rebreather will typically require to comply with the requirements of the PADI TecRec CCR courses. PADI maintains a register of Rebreathers that manufacturers have specified meet the key features of a Type T rebreather and have successfully undergone internationally recognized third-party testing against an appropriate standard such as EN14143. Only Rebreathers that have been included in this central register may be used for PADI TecRec rebreather courses. The unit has a ‘black box’ data recorder function or is used with a dive computer providing this function.